After all the sweet tooth recipes I have been eating, its nice to have a spicy recipe. Are you a vegetarian struggling to become a complete vegan? Fortunately, there is no magic pill because we would miss out on a delightful culinary adventure. What is the biggest obstacle facing a vegetarian who is trying to cross over to the vegan side? There are delicious vegan cheeses in the market that are absolutely delicious. Believe me because I have tasted them all. In fact, I have even made and consume my home made Feta cheese. For me, it is really hard to resist Mozzarella especially if it is in a sandwich. I have even been known to fiercely hog the mozzarella sticks at any game day party. No one can resist these a good old-fashioned mozzarella stick, not even me! That is why I like to pair vegetarian dishes with vegan ingredients. This makes me feel happy and I am sure it makes other aspiring vegans very happy too. 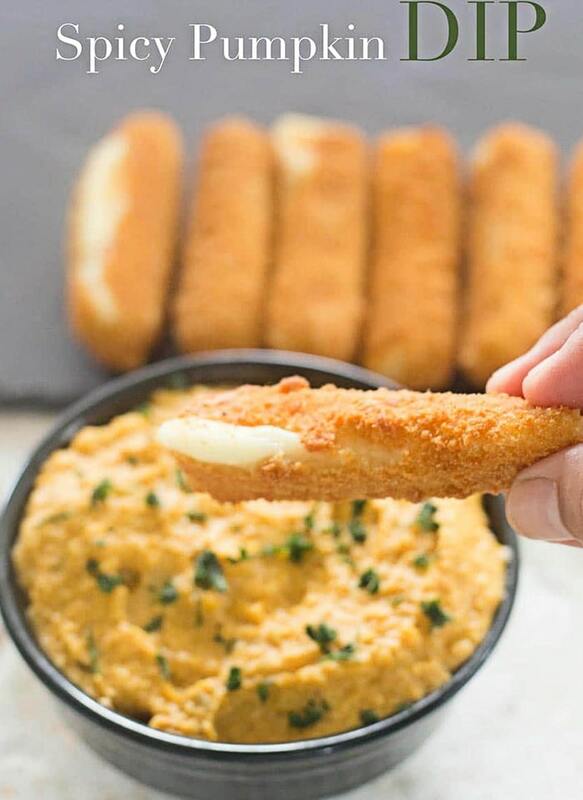 Today, I pair the mozzarella sticks with a savory pumpkin dip that is perfect for this season of sports and holidays. 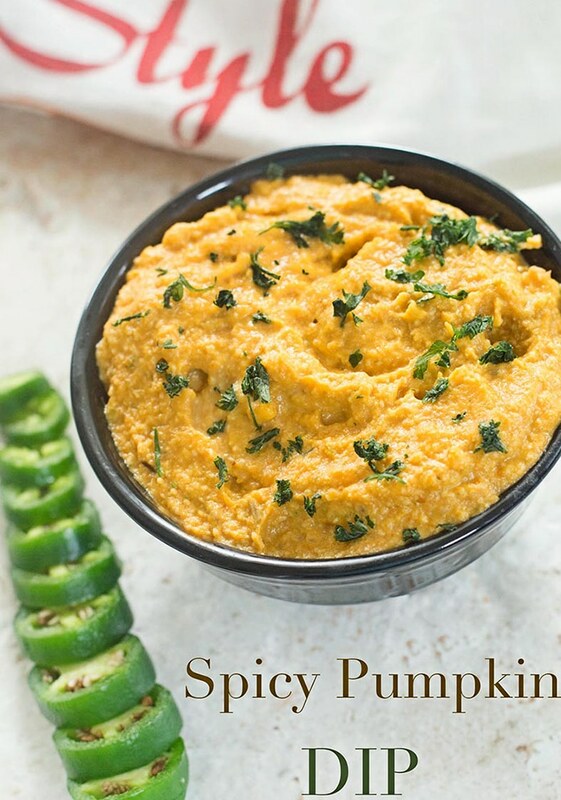 Pumpkin is amazingly delicious in sweets and desserts, but, it’s true flavor power is revealed in a spicy recipe. 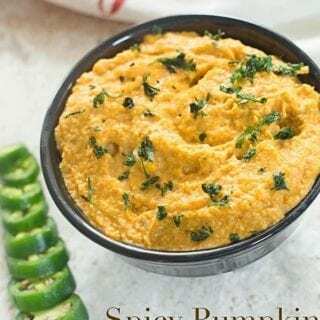 I caramelized onions, jalapenos and garlic then added them to pumpkin puree. 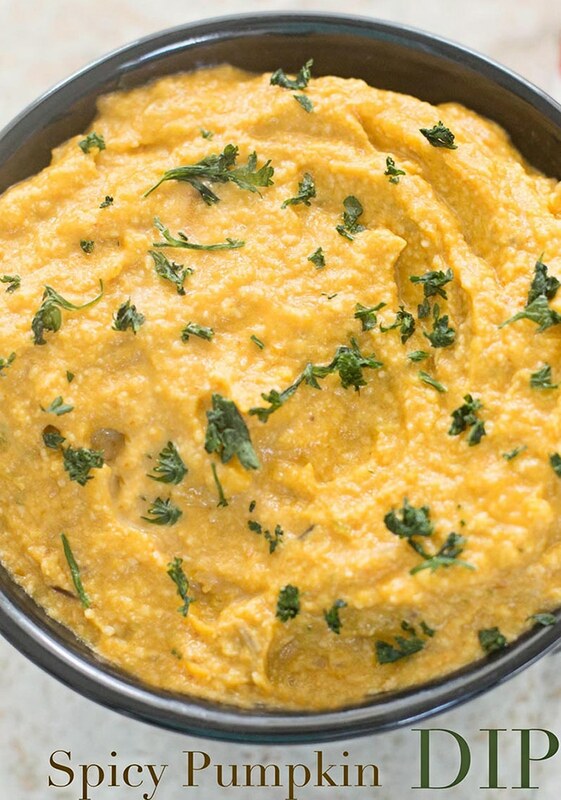 Soaked cashews add a creaminess to this dip and garnished with curly parsley. After blending the ingredients on high speed, the dip recipe is ready to be devoured. What cheese makes you weak in the knees? Saute until the onions have browned. While the onions are sauteing, put the cashews in a food processor and blend at low speed until pureed. 6) Saute until the onions have browned. 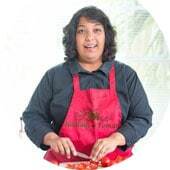 7) While the onions are sauteing, put the cashews in a food processor and blend at low speed until pureed. 10) Transfer the dip to a bowl and serve with Mozzarella Sticks. 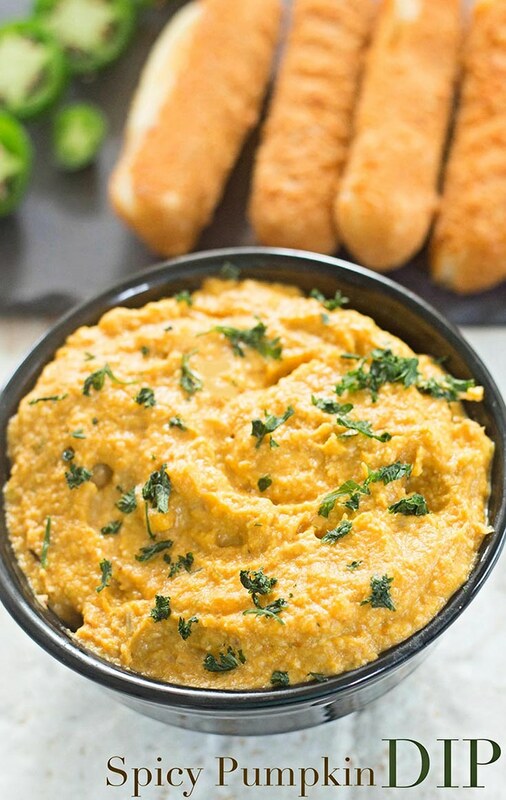 Oh my goodness this dip looks fabulous! I’m not a fan of sweets but totally love all things savory. This one is right up my alley, can’t wait to give it a try. Thank you, Debra. I love them when they are savory too.